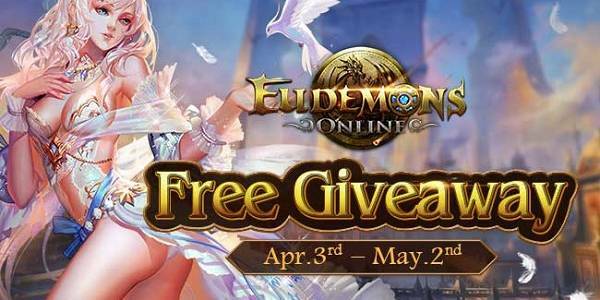 F2P.com has partnered with Eudemons Online (NetDragon / 99.com) team to bring a special Free Media Pack for our new players to challenge new server Elysium! The pack will give your several amazing prizes! You can open this pack to get one Million Gold, a Graceful Fiery Soul Pack (30 Days), a Elf Nevaeh Pack, a Sea of Stars (14 Days), a Luxury Moonlight Pack, one set of Level 51 Super Equipment and one Level 71 Super Weapon. 2. One gift per new created character. 4. Code can only be used in new server Elysium. Follow the instructions to redeem your code. Step 3. Head to Eudemons Online in order to create a new account, downolad and login in to the Eudemons Online. Step 4. Create a new character, come back to the link Step 3, and submit your character info and your gift code to claim your gift pack!. Login to the game and grab the gift packs from Lorraine (Cronus 221, 632). You can easily open up the "Path Finding" menu, choose "Others in Market" and then click on the "Prize Legate", the auto path system will lead you there, automatically. Eudemons Online is a Free-To-Play fantasy MMORPG presented by TQ Digital. In this mythic world, you can choose to be a Warrior, a Mage, a Paladin, a Vampire, a Necromancer or a Shadow Knight. Over one hundred distinct Eudemons are ready to assist you in your travels. Select and train them wisely to add extra power to your character, and use them to your advantage in the fierce battles you will face. Since launched, Eudemons Online has attracted over million players worldwide. Join and prove yourself on the world-class stage now!